Hide this Dealer (Dreams Properties)Discover properties by other dealers by hiding those whom you have already spoken to. You won't see them in your searches further but you can unhide anytime later. Hide this Dealer (Royal Properties)Discover properties by other dealers by hiding those whom you have already spoken to. You won't see them in your searches further but you can unhide anytime later. Amanora Group brings in its new residential launch named Amanora Future Towers in the promising locality of Hadapsar, Pune. The project brings in meticulously designed RK, 1BHK, 2BHK, 3BHK, 4BHK apartments and shops available in the area range of 608 - 4339 sq. ft. This integrated premium mix use development is spread across a whopping 400 acres. Amanora Future Towers has a total of 900 units to offer, which are spread across 30 floors and 9 towers. It is a ready to move in project. The project is the brainchild of the renowned architect MVRDV, Rotterdam. Hadapsar is well-served by Pune Mahanagar Parivahan Mahamandal Limited (PMPML) bus services, connecting it to the other important city locations. Hadapsar is connected to the Sasane Nagar Bypass Road and the Mumbai-Pune Highway, connecting Solapur. MG Road is just 7 ? 8 km from here, and besides, Hadapsar is also well-connected to Solapur Road and Nagar Road. Hadapsar is just 5 KM away from Magarpatta, the latest IT hub of Pune, serving as home to over 21 IT companies. The locality is also located close to Pune Cantonment, Kharadi, Fursungi IT Park, Swargate, and Mundhwa Industrial area. When it comes to real estate, Pune has emerged as a crowd puller. Investing in realty market here in Pune is considered as a safe bet owing to the excellent returns on investments it offers. Also a consistent year-on-year price appreciation has worked in the favor of Pune. As per the experts, Pune realty market poses very low risks and is no longer dependent on its connectivity or closeness to Mumbai now. With a number of corporate houses and educational institutions, Pune is now a standalone powerhouse of extensive realty prospects. What is the location of Amanora Future Towers?The location of the project is Hadapsar, Pune. What apartment sizes are available in Amanora Future Towers? The project offers apartments sized between 822.0 sqft and 3907.0 sqft. What is the area of 2 bhk in Amanora Future Towers? 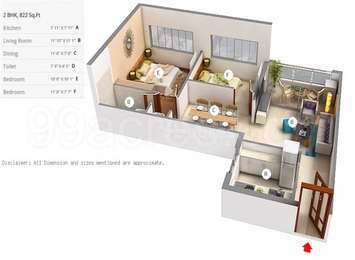 The size of a 2BHK unit in the project ranges from 822.0 sqft to 966.0 sqft. What is size of 4 bhk in Amanora Future Towers? 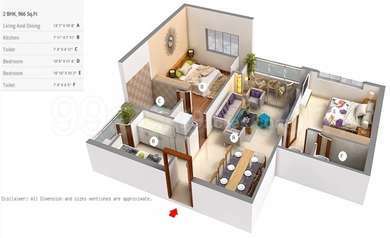 The area of 4 BHK apartments ranges from 2995.0 sqft to 3907.0 sqft. What is the price of 2 bhk in Amanora Future Towers? The project offers 2 BHK units within Rs. 6300000 to Rs. 15000000.
is a reputed builder dealing in residential development, corporate houses, entertainment zones and property management. Hi. 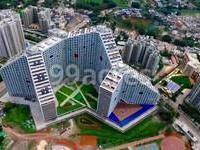 I want to know the prevailing price rate for 3 BHK resale apartments in Amanora Future Towers. I hope this project and Hadaspar would be safe for residential purpose. 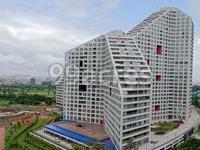 Hi Riddhi, currently there are several resale apartments available here at a price between Rs 92 lakh and Rs 1.43 crore. The project comes with plenty of amenities like swimming pool, yoga/meditation area, amphitheatre, cafeteria, landscape garden, gym, kids play area, etc. The security features in the Amanora Future are the usual ones - CCTV camera at the main entry and strategic points in the premise. Each apartment is equipped with video door phones and Intercom. Well trained security guards are present here 24x7. I want to know about the surroundings of Amanora Future Towers in terms of social infrastructure. I hope there would not be any traffic congestion here? Hi Gaurav, this project is situated in Hadapsar which is an eastern suburb of Pune. Few years back, it was a small village but now its one of the densely populated localities of Bangalore due to rapid industrial development. It is quite popular among homebuyers due to well-developed social infrastructure. Hadapsar has multiple tourist attractions in the vicinity such as forts, lakes, malls, etc. Owing to the presence of Hadapsar Airport and Railway station, it is extremely well connected to rest of Pune. PMPML buses offers an extensive bus network here. However, the area witnesses traffic gluts during the peak office hours, morning and evening. Few of the landmarks near the project are: Hadapsar Airport, Hadapsar Railway Station, Galaxy Hospital, More Supermarket, State Bank of India, among others. Overall, this seems to be a good project but before making any purchase here, kindly conduct a site visit.